Whether you have a second location across town or 100 sites spread across the country, seamless connectivity across all your locations delivers a number of benefits. Unfortunately, conventional, onsite PBX systems are not well-suited to businesses with multiple locations. 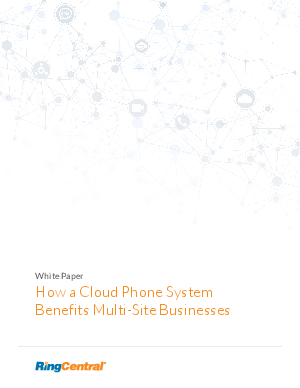 They not only lack key features such as direct extension-dialing and online meetings but also require complex and costly telco connectivity between sites.